Traditional ways of selecting restaurants where the user has to mention price range, category, location, etc., explicitly leads to a lot of cognitive load on the user. Also the over load of results cause the user to be overwhelmed by all the data. More often than not, the many websites do not always return relevant results. The aim of our app was to allow for a person to select a restaurant with a few very simple decisions. Necessary criteria such as Vegan Only/Gluten Intolerance, etc. are the only prerequisite (though not necessary) other than the Zipcode. It is a recommender system to quickly zero in on restaurants, simply by making binary choices from a set of random images of food. It can be extended to include selections for groups of users/visitors. 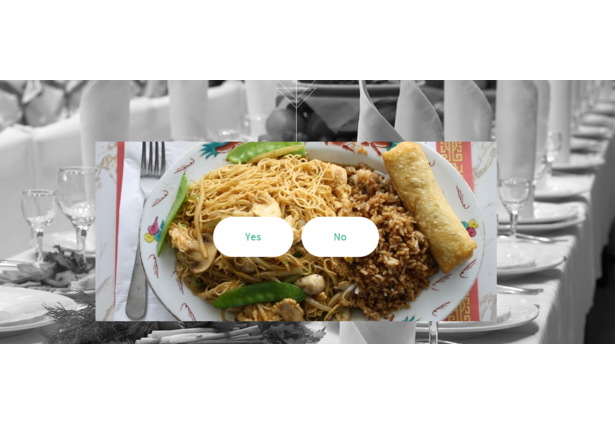 The website first prompts the visitor to enter a zip code and then runs him/her through a quick set of images to help gauge their eating preference. 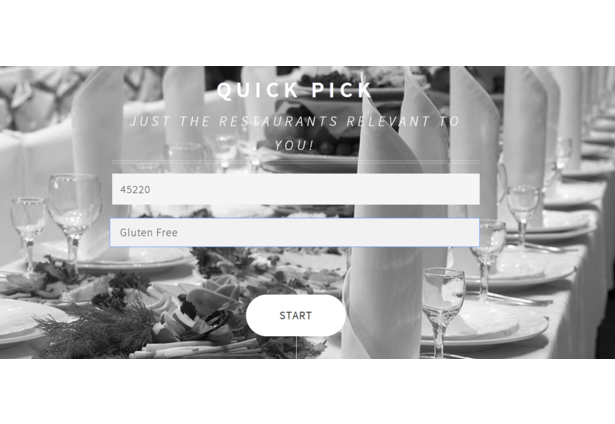 Using an intelligent algorithm that tracks the visitor’s responses, a results set consisting of top 10 relevant restaurants is displayed, with further information on each. 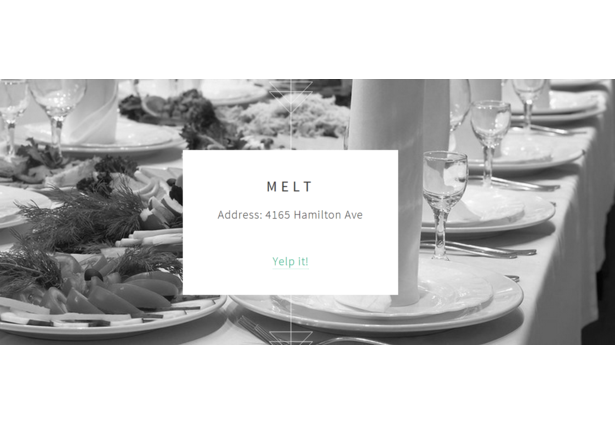 Restaurant data is obtained from Yelp Public Api. Currently the app makes recommendation for a single user. Future plans to help groups of people decide together to pick a place to eat. The intelligence of the algorithm is currently limited to creating a user profile based on responses. This could be expanded to intelligently choosing subsequent images based on the current response. Comments for this submission are closed. View the software in Sameeha's portfolio to continue the conversation.